One of my favorite parts of living in Louisiana is all the history that surrounds our state. With so many museums & attractions that showcase American History, it’s hard not to enjoy all these features with our family on the weekends. 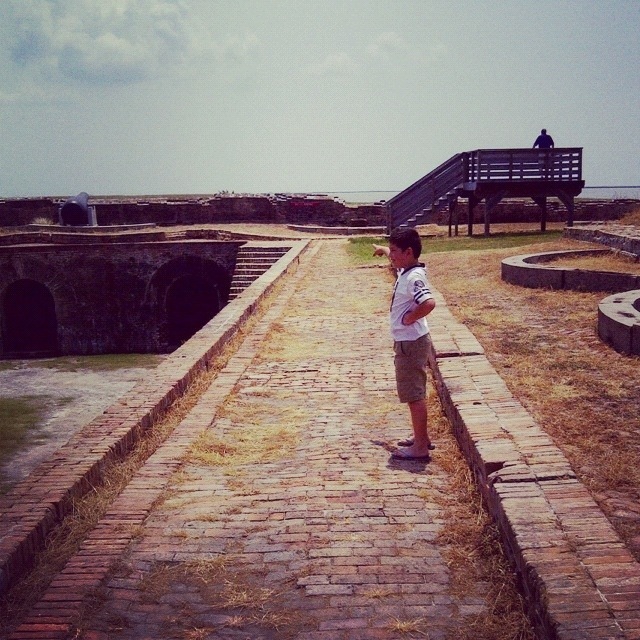 Recently, we took our children to visit Fort Pike. 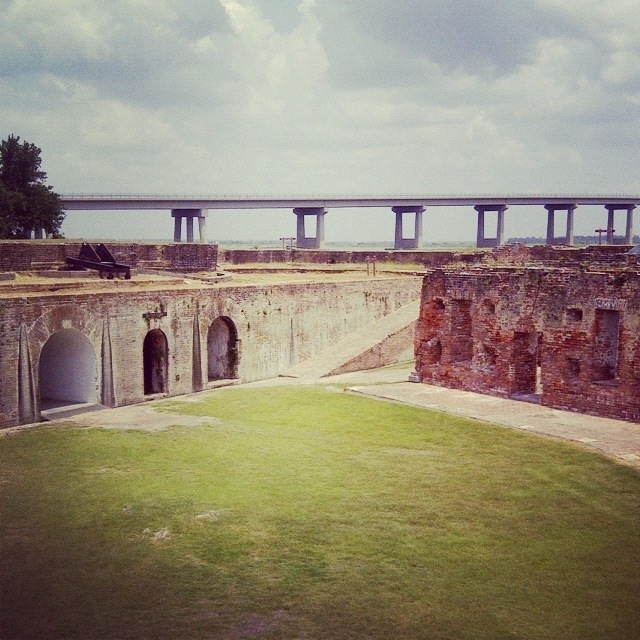 Fort Pike is located about 20+ miles from downtown New Orleans. We enjoyed a picnic lunch on 4th of July (holiday was very fitting) and loved the beautiful scenery of the location. Having lunch at Fort Pike is free but we decided to see if they were running tours despite it being a National Holiday. We lucked out because they were running tours and eventually had a nice little group visiting Fort Pike as well. As you can see by our pictures, our children had a great time stepping into Louisiana history. 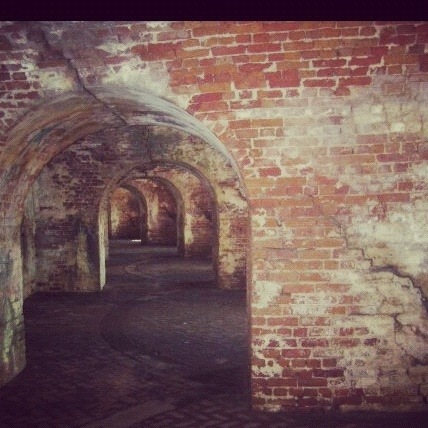 Fort Pike was the first fort built by the U.S Government. My kids loved seeing the cannons, the citadel, and all the resources that were available throughout the tour. The $4 entrance fee is what helped support the recent renovations since Hurricane Katrina. 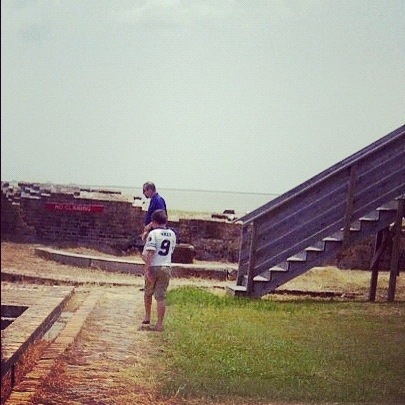 If your traveling in New Orleans or even passing through the area, please make sure to stop and visit Fort Pike. It is such a beautiful location and filled with so much history, that it is a perfect family friendly locations. 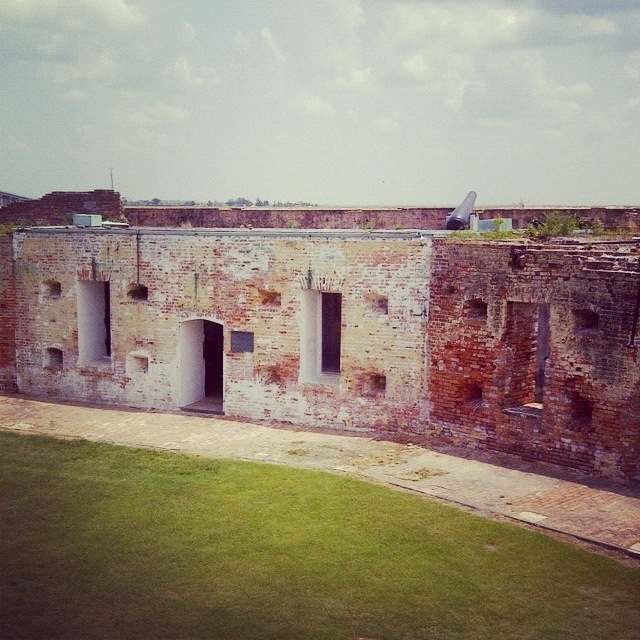 Fort Pike stands as a fascinating of Louisiana’s military history. Fort Pike’s role in the military affairs of the United States prior to the Civil War varied considerably. During the Seminole Wars in the 1830s, Fort Pike served as a staging area for many troops en route to Florida, and also as a collection point for hundreds of Seminole prisoners and their black slaves who were being transported to Oklahoma. Cannons were removed from some of the casemates to convert them to cells. At one point in this conflict, only 66 soldiers guarded 253 Indian and black prisoners. All Photographs in this blog post were taken by my family. The use of these pictures are not allowed without my permission. What a great post. I really enjoyed getting a break from here for a moment, thank you. Beautiful — I’ll definitely put it on my “must see” list! Your pictures are gorgeous. Great job! so fun! I went to some forts around Oregon when I was little, and it was pretty cool to see the old canyons, and even some canoes that were made out of trees. Thanks! I love reading about any type of history! I love the pictures! I would love to visit sometime.